Large, simple small apartment house Residence A, 5 storeys, built in 1970. 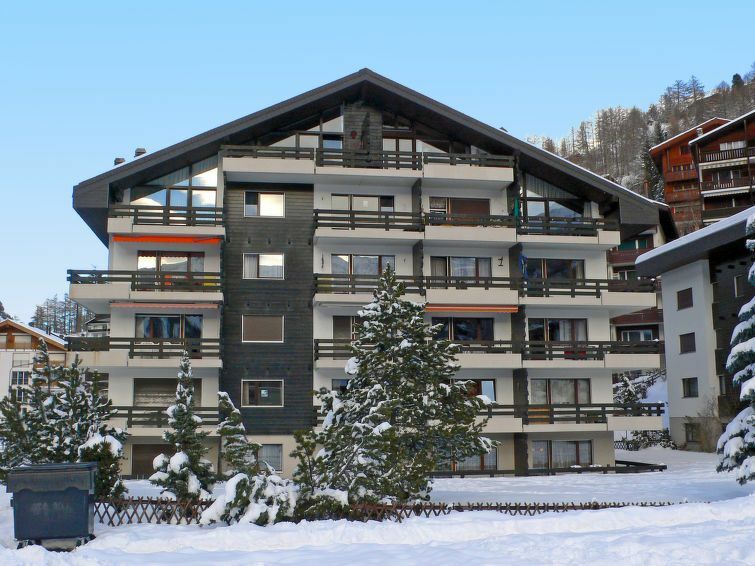 In the district of Wiesti 550 m from the centre of Zermatt, in a quiet, sunny position, 20 m from the stream. In the house: lift, storage room for skis, central heating system. Motor access to the house. Supermarket 400 m, restaurant 300 m, bakery 550 m, 15 minute walk to the centre, bus stop Wiestibrücke 190 m, railway station Bahnhof Zermatt 550 m. Mountain railway, ski rental 500 m, ski bus stop 190 m, ski school, children's ski school 800 m. Please note: There are more similar properties for rent in this same residence.